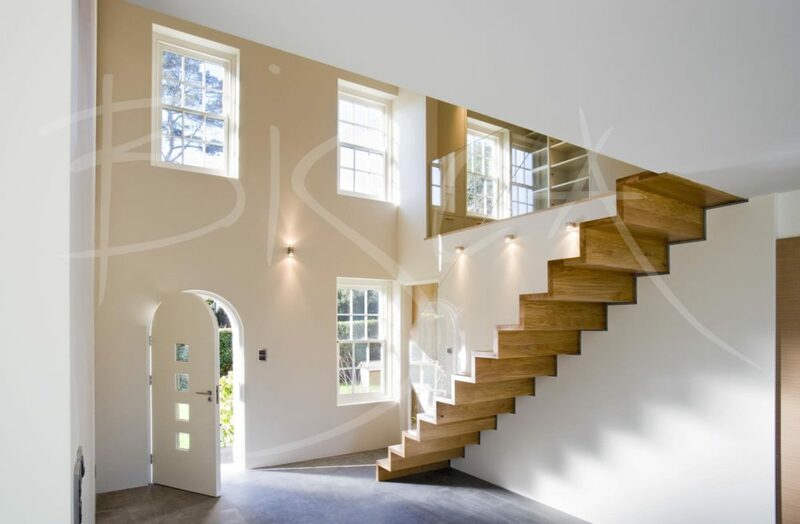 An elegant contemporary oak cantilever in the entrance of a property on the island of Guernsey. 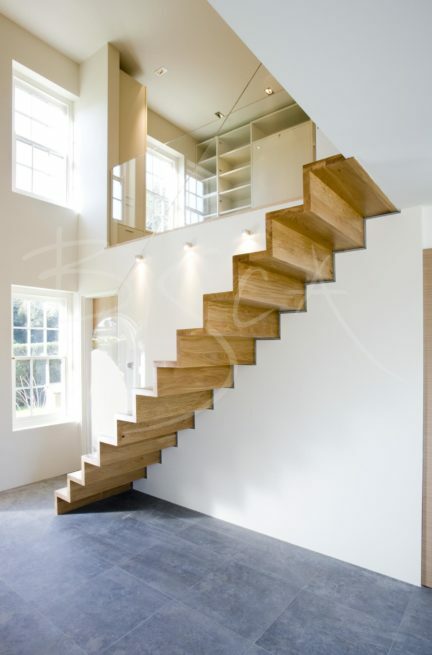 Slim, cantilevered treads of kiln dried oak give a zig-zag profile and become a feature in their own right. 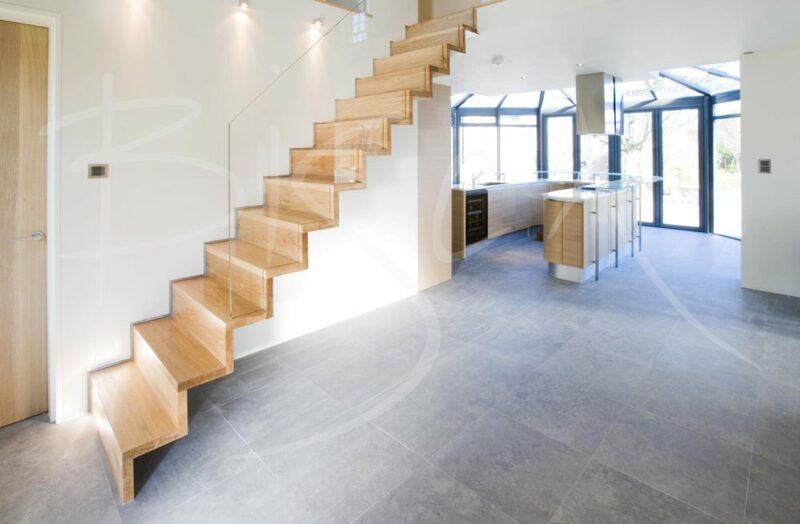 A balustrade, achieved by a single sheet of low iron glass, provides a clean contemporary look. The same style balustrade is also fixed along first floor landing edges. 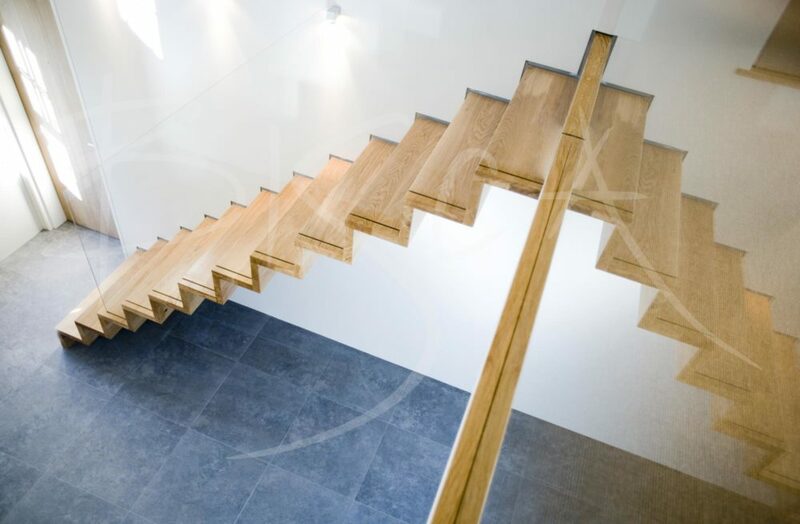 For a guide price based on this contemporary oak cantilever design please reference 1996. This project uses low iron glass for best visual clarity. We base our estimates on standard glass unless low iron is specified. Standard glass has a slight green tint, whereas premium low iron glass has reduced tint.